After years of painting in Corel Painter, a friend suggested I learn to paint in Photoshop – particularly since I enjoy teaching digital painting. I have created about 20 paintings in Photoshop. You may see them on my site by clicking here. People ask me if I have abandoned Painter? Of course not. How wonderful it is to be able to paint using additional sophisticated software contained in both programs. 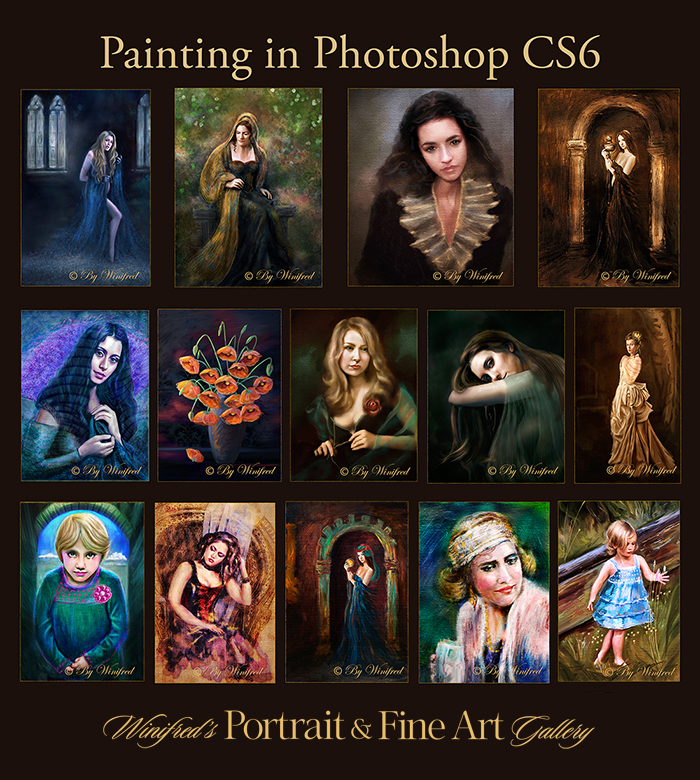 This entry was posted in Photoshop CS6 Painting Tutorials, Winifred's Portrait & Fine Art Gallery and tagged Digital Painting Workshops and Training, Photoshop Painting, Winifred Whitfield Workshops and Training by Winifred Whitfield. Bookmark the permalink.